Oh was this "little" guy so adorable! Yes he really is only 2 months old! His blue eyes and cheeks were the best! He was in serious mode with us, but we still got some sweet portraits! 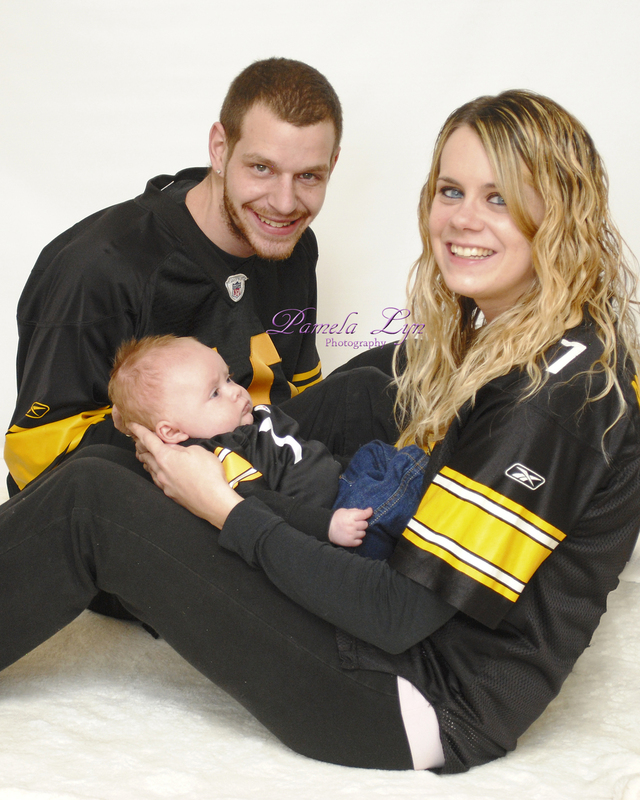 Loving this Steeler theme! Momma and baby have matching jerseys! I just love black and white images of the tiny ones! If you, or someone you know may be interested in a session, please visit my Contact page, and don't forget to browse the rest of the site!